In the last few days, all the resident blackbirds have started singing regularly. We pass through a few territories on our way back home from school playing 'who can spot the singing blackbird'. 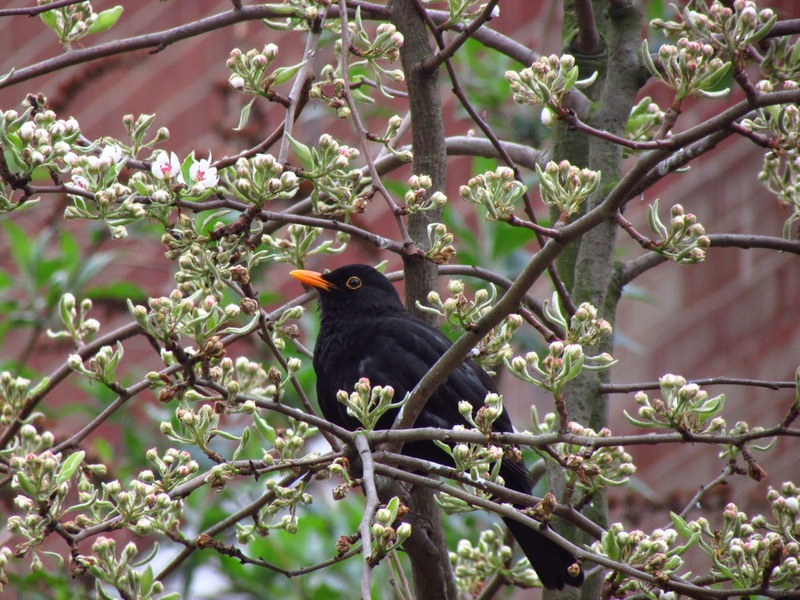 This one was sitting quite low on a front garden, with the beautiful first pear blossom opening around him.